@James is correct Gamma World box set(s) are still my favorites! Moldvay Basic is my first and favorite boxed set, as it introduced me to the hobby. My favorite is Torg: Roleplaying the Possibility Wars Boxed Set, by West End Games! 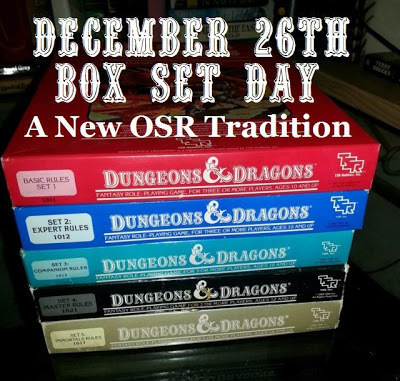 I love expert D&D box set.